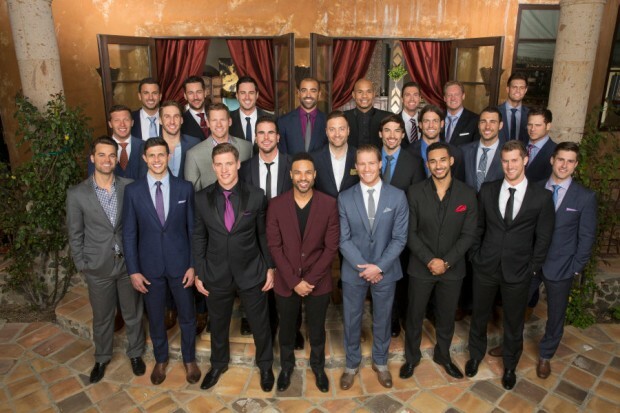 Hello, again Bachelor Nation! Welcome to Week 2. The season officially starts up with 2 group dates and 1 one on one date. Before we get into it, I’d like to say how perfect I think Britt and Brady are together. Last week, we were left with Brady knocking at Britt’s hotel room door. This episode they give us a closer look. They show Britt crying on the phone with her mom, expressing how upset she was because she “didn’t get to say goodbye to anybody.” Then something magical happens (or just edited really well). Brady knocks on the door and she welcomes him in. He even asks “Can I give you a hug?” SO CUTE. At the end of this episode, they show more Briddy (their ship name), making it official when he asks her to be his girlfriend. Back to the mansion, the very first date card arrives. Daniel, Justin, Jared, Cory, Tanner, Kupah, Ben H and Ben Z are all invited to a boxing date with Kaitlyn so she can find out “who is willing to fight” for her. Laila Ali, boxing champion, is the special guest on this group date to help train the men. After training, Laila and Kaitlyn announced they would be sparring off against each other in the ring. While the men were sparring, things got heated. This had me wondering why anyone thought this was a good idea. They showed Kaitlyn on multiple occasions cringing at their hits, and expressing how nervous she was that someone would get hurt. You have fully grown men fighting for one girl, and you tell them to get in the ring and hit each other. There will obviously be some issues here. In the final match, it was Jared v Ben Z. Ben Z is known for being 230 pounds of muscle. He ended up knocking Jared in the face, who got taken to the hospital in case of a concussion. Way to go, Kaitlyn. After the boxing, Kaitlyn had some time on the date to talk to the guys. 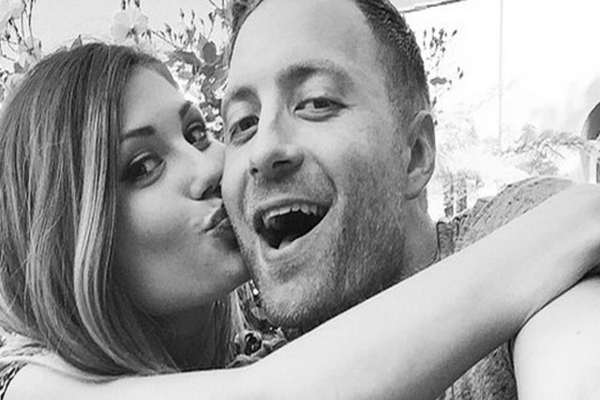 Ben Z opened up about his mom’s losing the battle with cancer, and he and Kaitlyn shared a kiss. He showed a soft side, which Kaitlyn admired after seeing his beast mode in the ring. Half way through Kaitlyn received a note from Jared who wanted to meet her downstairs. He wasn’t allowed to join for the night, but he wanted to see her. Jared ended up kissing her and she expressed to the cameras how she felt fireworks. Cliché? Cute? You decide. But after seeing that kiss, my admiration for Jared only escalated. At the end of the evening, a rose was given to Ben Z for opening up and being vulnerable, which is pretty much your guaranteed ticket to a rose. The next day, Kaitlyn takes Clint on her first one on one date. 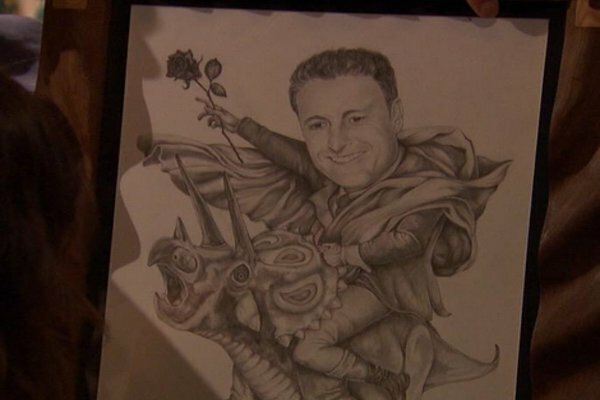 She claims “any man who draws Chris Harrison on a triceratops deserves a one on one date.” I agree. It was an extremely impressive drawing. They partook in an underwater “engagement” photoshoot. Before this, I honestly thought these photo shoots were a trend that just tried too hard to be unique. Although, I really did like how some of their photos turned out. It was also a great test of chemistry. They had to have the type of strong chemistry that a camera can pick up. It worked! They shared their first kiss underwater and got to capture it. Side note: the one scene showed a juicy red bump on his neck and I’m still wondering what it is, and if Kaitlyn accidentally touched it while making out. Back at the mansion, the cameras show multiple scenes of Tony the Healer having his moments. His philosophical sensitive thoughts are definitely entertaining. The producers also do a good job with putting that goofy music in the background, the same music when Ashley S talked to a cat or a grapefruit last season. I bet they’d be such a great couple. After the underwater photoshoot, Kaitlyn enjoyed a dinner with Clint where she gave him a rose. She expressed how it was “the best first date I’ve ever had in my whole life.” We’ll probably here that several more times. The second group date rolls along where she takes JJ, Jonathan, Joshua, Chris, Ian, Joe, and Tony to the Improv Comedy Club. 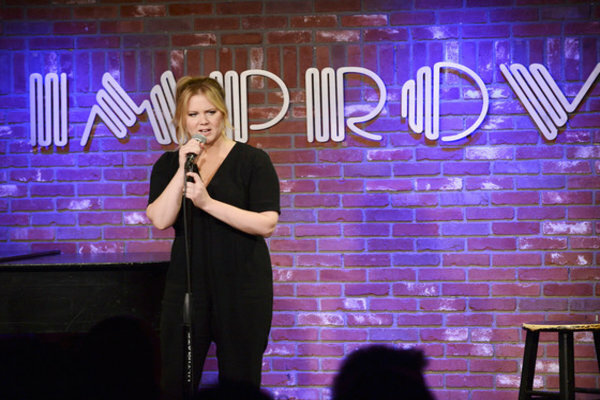 Amy Schumer, comedy goddess, makes a special appearance to help the guys out. She also recruits 3 other not as famous women comedians. Can we just take a second to appreciate only a FRACTION of the hilarious lines she dropped? Now ladies and gentleman, we meet the douche of the group, JJ. JJ is cocky, arrogant, and just annoying. What’s even more annoying, is that Kaitlyn doesn’t see that yet. He gives Amy a glimpse of that when she’s helping him write his script. He says that he’s “too smart for like 90 percent of the audience.” Amy later told the camera “GG’s a sweet heart. He’s just missing, like, charisma, and humility, and a sense of humour.” She also said, “Maybe once he sees the show, he’ll reflect on himself a bit and not be such a turd.” Well said, Amy. I love you. The men then get up in front of a club full of people and recite their stand up. They all did really well in their own way. Especially Tony the Healer. He made a humbling speech on how thankful he is to be here. The audience was waiting for the punch line, and it just didn’t really happen. He eventually caught on to their confusion, which made it really humorous. Go Tony. After they finished at the comedy club, Kaitlyn had some time with the men to drink and talk. JJ talks to Kaitlyn, reeling her into his act even more. I feel as though he’s one of those guys who brings up his daughter because it makes him seem superior. They end up kissing, and she’s grossly smitten with him. So much so, she gives him the group date rose. Fast forward to the Cocktail Hour the next day. 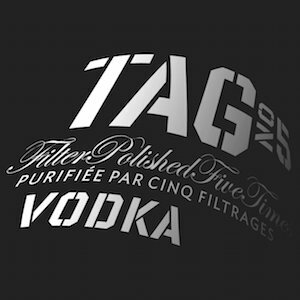 JJ once again proves he’s worthy of my label. Even though he ALREADY has a rose, he steals Kaitlyn away from the rest of the men right at the beginning of the night. The other men are not happy, and rightfully so. JJ knows what he’s doing, and he even tells Kaitlyn that he knows he probably lost some friends by doing it. Moving on, Kupah then steals Kaitlyn to have a chat. This chat does not go well for him (see above picture). To sum it up, he questioned Kaitlyn’s process and intentions. He said that he wasn’t sure why she kept him the first night. She said that she admired his passion for music, and it was one of the conversations that stuck out to her. He then says, “You were looking all around the room. I’m just being honest.” He also uses the charming line, “I thought you were a real person.” Thought? She admitted to him that she actually felt a connection with him up until this point. He tried saving himself multiple times, but it wasn’t working. Long story short, she later overheard him bashing her to the other guys and ended up kicking him off. It shows him getting upset and raising his voice at the camera crew on his way out. We’re then left with a classic To Be Continued. Sigh. Now before I wrap it up, I want to officially declare my top 3 picks for Kaitlyn. so far Shawn B is my favourite. Hope to see more of him next episode ;). Hopefully he doesn’t go down the douche path too.